Get (or make) an envelope and decorate it (FRONT and BACK) using any mediums/style of your choosing. 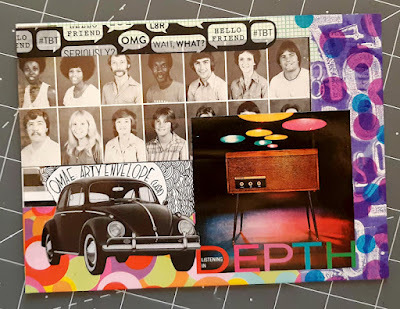 This is a handmade, mail art swap so please put effort and care into your envelope. A strip of washi tape and a sticker will not cut it. And here's a Pinterest board with even more examples: Groovy Envelopes. Envelope size: no smaller than 4"x6". Contents: N̲O̲N̲E̲. Send your envelope EMPTY so the recipient can add it to their collection unopened. If you are illustrating/painting/stamping an envelope and worry that it might be too flimsy to post, you can insert a piece of cardstock to help fortify it. On the outside of the envelope somewhere, note the swap name+your username. A fully completed profile that includes an ABOUT ME (not just a likes list). Active SB membership over the past 3 months. If your most recent swap completed was 6 months, a year or more ago, you will not be permitted to join. N̲O̲ unaddressed or unresolved 1 or 3 ratings. Other than those 4 points, I will use my discretion and remove any questionable swappers without warning. If you see someone like this in the swap, feel free to PM me a heads up. I appreciate the help. Should you have any issues along the way, please PM me - I'm happy to help out. I will also angel if the need arises, but only after the non-sender is rated properly. 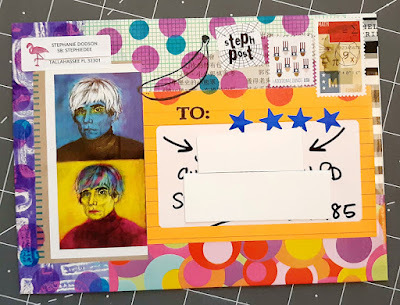 If you enjoy this swap, check out my group: Open Mail Art Exchange. All of our mail art exchanges take place via forum activities (not swaps). Please be sure to read the group's description before applying. Too late :-( Perhaps you can give me a sign if there is a next round?